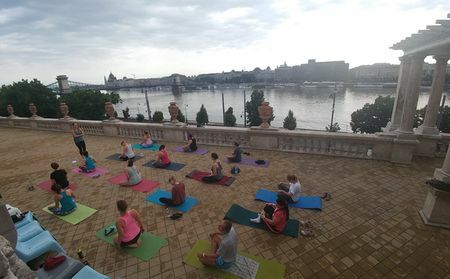 What better way to close your day than practicing yoga surrounded by the wonderful panorama of Budapest and the river Danube? Every Thursday at 19.30. yoga teacher Panni Bakonyi is waiting for enthusiastic pupils who would like to experience the soothing effects of vinyasa flow. If you would like to try your hand at yoga don't hesitate to join the team of this special course at picturesque Castle Garden Bazaar, a venue often regarded as the jewellery box of Budapest. If you are already an expert at the various poses and asanas it's all the better, but beginners are welcome as well. Please bring a yoga mattress with you! Comfy sportswear and a bottle of water are also recommended. 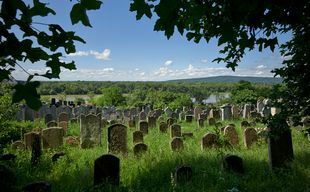 The yoga lesson lasts 60 minutes, practicing the vinyasa flow style.